Morven is a tiny place in South Canterbury (Google Maps) with the main south railway running through the middle. So small it doesn't even have a listing in the Wikipedia. 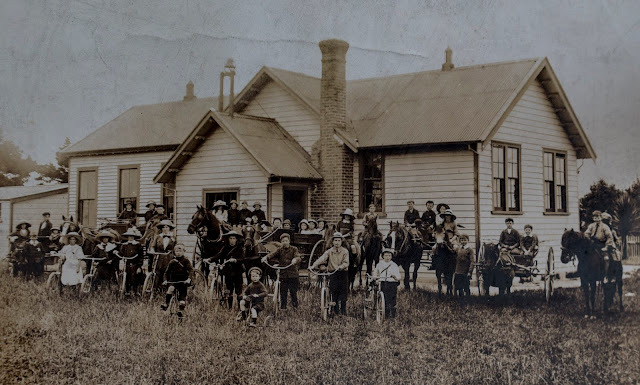 My mothers family is from this area, below is a school photo from 1911, mums father is in the front row on the trike. Notice the number of children who came to school by horse - how cool would that be today.